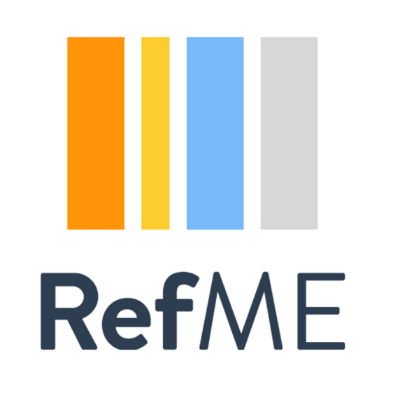 RefMe is a popular tool for storing references and producing reading lists for assignments. However, it has been sold to a different company, Cite This For Me. See this RefMe Support post for further details. You will have access to Refme and the mobile app until February 28th. After this date, your references will transfer to Cite This For Me. You will have account access until June 1st. After this date, you will lose your stored references unless you have paid for a monthly subscription. Accounts are only available to subscribed members. We advise you to export all your references before February 28th so that you can save or transfer them if you wish to do so. In RefMe, you can export references into a Word document using the Export button. You can also export them using a format compatible with other tools, such as Mendeley or Zotero, both of which offer free reference management alternatives. The Library Services team will be investigating what other tools are available, and we’ll be asking students and staff for their feedback too. Watch this space.